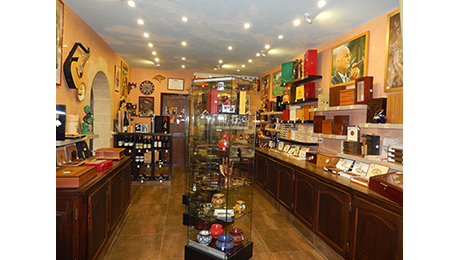 This genuine Cuban cigar shop - complete with walk in humidor - came highly recommended for its authentic selection of hand or machine rolled Cuban cigars. They also stock Dominican Republic cigars and Barbadian rolled varieties. Cuban Coffee (including the Cubita brand) and a range of smoking accessories are also available for purchase. Located at 4 Chattel Village, Holetown. This is a very charming independent gift and house ware shop in Georgetown, worth seeking out. Ideal for gifts... they have elegant paper napkins. Reputedly offering over 80 types of homemade perfumes, scented soaps, body oils and other essences, Aux Parfums de Grasse is located in the old town. The owner, a ‘perfume maker’, will help you to create your own unique perfume. Located in Rodney Bay Village, the Bay Walk Shopping Mall has 60 retail outlets plus secure multi story car parking, Bay Walk Mall offers an array of great clothing stores, restaurants, fast food outlets, banking, pharmacy, mobile phone store, a casino, supermarket and florist plus much more. Located just a few minutes away from Rodney Bay Marina, by car or by tender across the lagoon. Here you will find many independent fashion boutiques with unique beach dresses and swim wear. So many bars and restaurants to choose from. A couple of highlights would be “Little Paris” (bookings may be needed) and “The Flying Kiwi Fish & Chips”, allegedly the best in Phuket! This area gets super busy on Friday night markets and has a real buzz. If you’re searching for that elusive publication, novelty item, rare tobacco or cigar, then Bob's News is the place to go. They have a truly eclectic inventory of items, you just never know what you might find. This small town is renowned for its goldsmiths' workshops.